Toronto Public Health (TPH) is investigating a lab-confirmed case of measles. This includes following up with individuals who may have been exposed to the virus. Members of the public may have been exposed to measles on Air Canada flight AC 0879, a direct flight that departed from Zürich Airport in Zurich, Switzerland at 9:25 a.m. and arrived at Toronto Pearson International Airport at 12:07 p.m. on March 6. Measles is a highly contagious disease that spreads easily to those who are susceptible. Anyone who has not had two doses of a measles vaccine (MMR or MMRV) or who has not had measles in the past is at risk of infection. Infants under one year of age, pregnant women and people with weakened immune systems can get very ill with measles. • Check your immunization record to make sure you and your family members have up-to-date measles vaccinations (MMR or MMRV). If you are unsure, please check with your health care provider. In general, those born before 1970 are considered protected against measles. 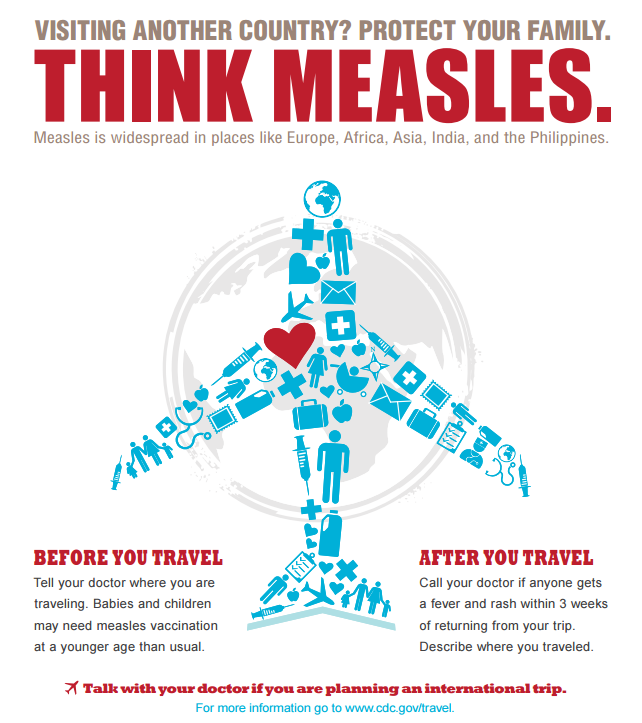 • Even if you are up-to-date with your measles vaccine, watch for symptoms of measles. These include a high fever, cold-like symptoms (cough/runny nose), sore eyes or sensitivity to light and a red rash lasting four to seven days. • Anyone experiencing symptoms as described above should contact their health care provider as soon as possible and not attend work or school. Contact your health care provider before going to see them to inform them you have been in contact with someone who has measles. • Infants under one year of age, pregnant women and people with weakened immune systems can become very ill with measles. These individuals, their parents or caregivers are encouraged to call Toronto Public Health at 416-338-7600 to discuss follow-up recommendations.